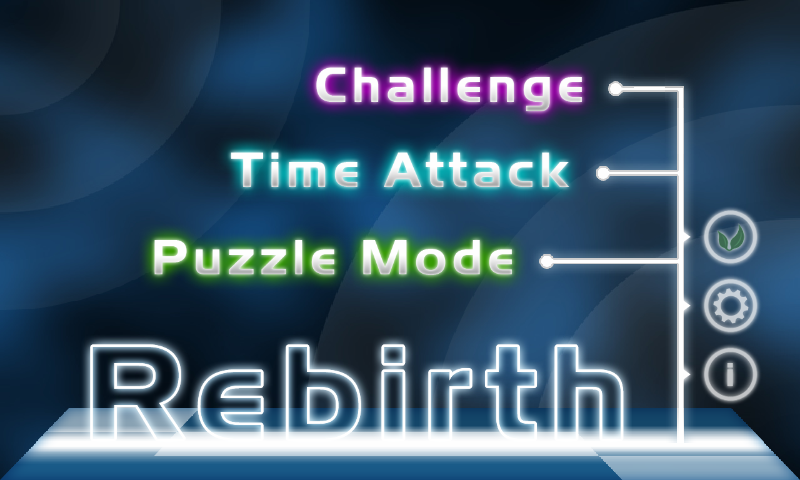 Rebirth update brings all new Puzzle Mode! It is a day of joy and celebration. At least for the people playing rebirth. :) Todays update brings you a completely new game mode that differs tremendously from the existing challenge and time attack game modes. 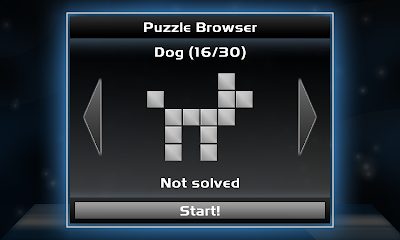 Created the all new puzzle mode! 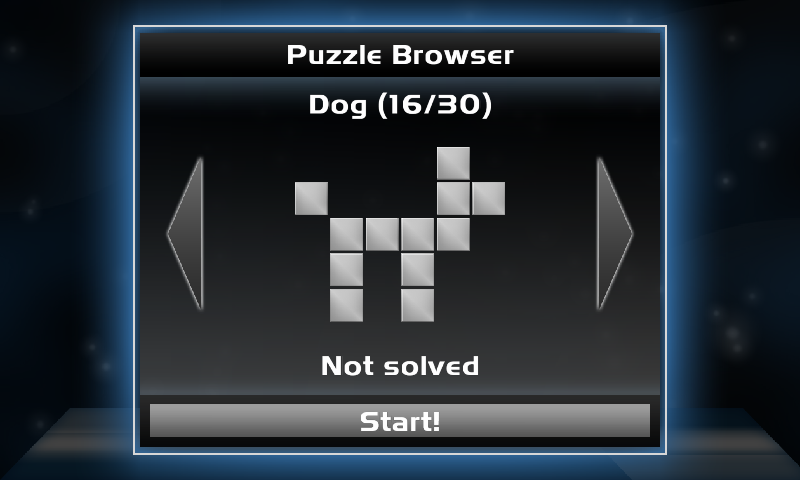 Rebuild the shape of the puzzle to unlock the next level. 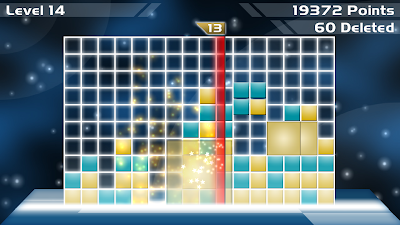 We've been on the market for only one week and just got the first review of Rebirth! 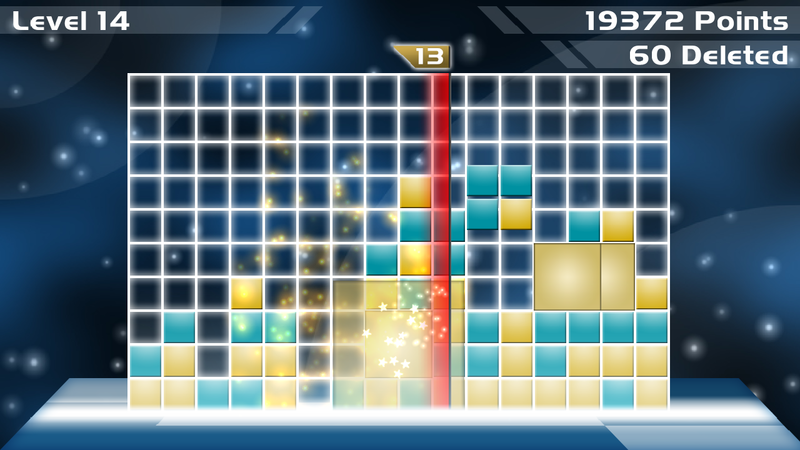 The people from PlayAndroid.com gave us an excellent one. So if you want to know what these guys think about Rebirth take a look! Also check out the nice video review sofa with Lara. You can find it in the youtube video below. Don't miss it! Thank you guys from PlayAndroid.com! 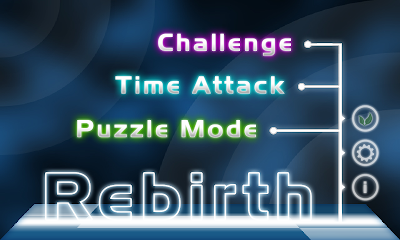 First major update for Rebirth! We are working hard to increase the user base and now declare the first major update. One of the most commonly requested features was the inclusion of background music. Therefore we included the awesome song "displaced emotions" from Toshi that you might know from our trailer video. You can simply toggle the music on and off in the settings. The latest and greatest release of Rebirth waits for you in the android market! Rebirth released to the android market! 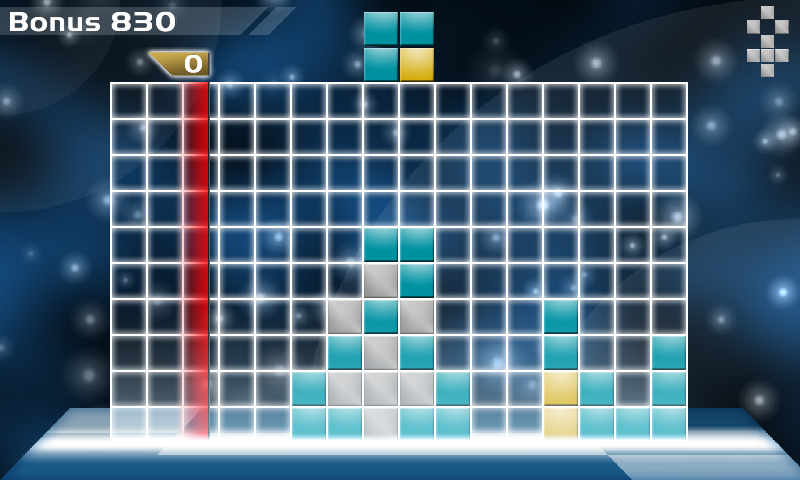 We also added OpenFeint support to bring you high scores and social aspects. The game is based on libgdx, an awesome cross-platform game development library written in java. This allowed us to support many different form factors from tablets to small phones. We are very happy with the current state of the game but are already busily working on new and exciting features. While we are currently working our way through the feedback of our beta phase, we would also like to share something with the rest of the world. :) We are proud to showcase the very first public screenshots of Rebirth! You can feast your eyes on the full game and the main menu which currently features two game modes: Challenge and Time Attack. A third game mode is in the making and will be published soon after launch. We are also working on game play video so stay tuned for more footage and of course the full game which will hopefully be released in a few days. 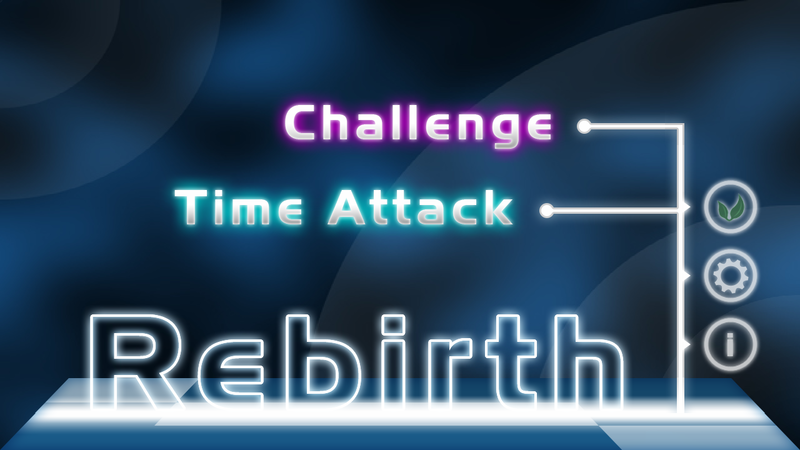 The game development circus continues to spin and is just about to crank out a brand new game entitled Rebirth. 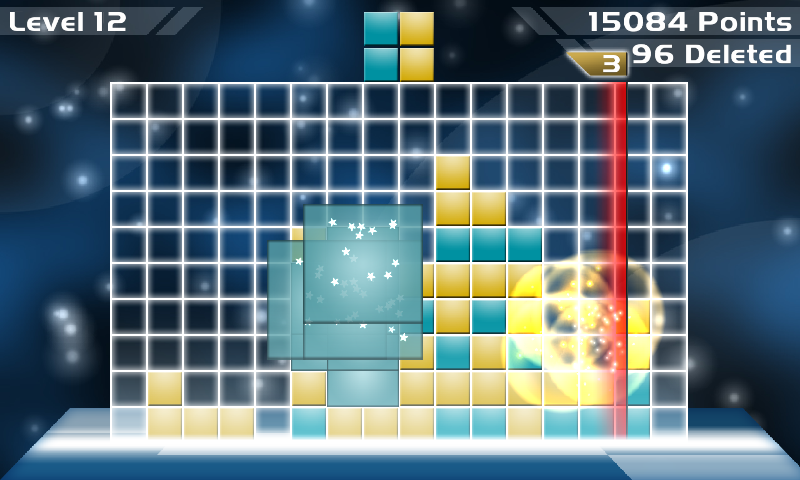 It is based on the basic idea of the falling block but gives the concept a brand new experience. Here is some artwork to wet your appetite. We changed the business model of the game to bring you more joy. We basically updated the lite version to contain all levels and to provide the same full game experience as the paid version. To make that possible we added unobtrusive ads which you will see occasionally. If you don't like the ads you can still buy the paid version which is now dubbed "Terminal5 Pro" and brings you all the goodness without any ads. We hope these changes will let you have more fun with the game while still supporting the developers (that is us :) ). 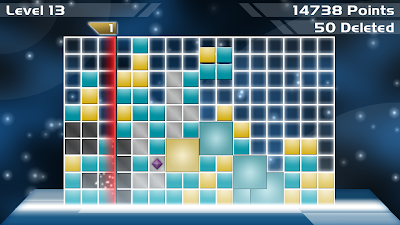 Doublemill had some bugs squashed and its AI improved. 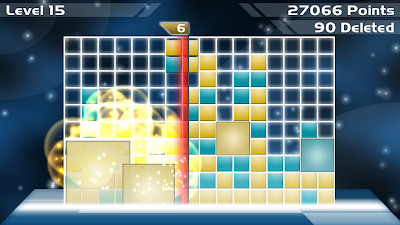 When playing against the computer, the AI will be quicker to win the game when winning is inevitable. 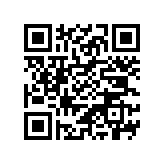 Scan or tab the barcode with your android device to download Rebirth from the android market. 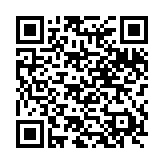 Scan or tab the barcode with your android device to download the full version of Terminal5 Pro from the Android market. 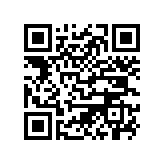 Scan the barcode with your android device to download the lite version of Terminal5 from the Android market. 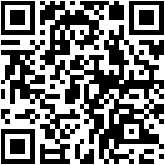 Scan the barcode with your android device to download the full version of Doublemill from the Android market.